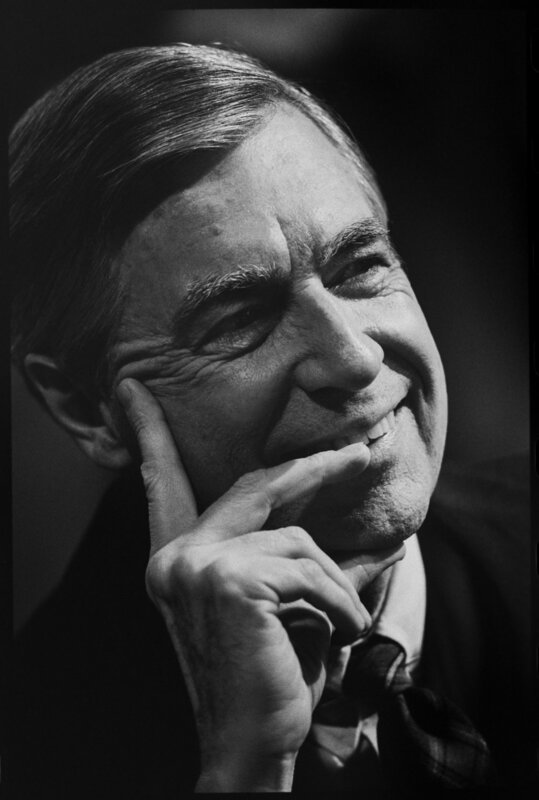 Fred Rogers listens during a staff conference between takes on the set of Mister Rogers Neighborhood filmed at the WQED studios in Pittsburgh, PA.
Fred Rogers shares a big laugh with Francois Clemmons as he dries Clemmons feet after soaking them in childs pool. Production meeting between scenes of Mister Rogers Neighborhood. Fred Rogers with children's author Eric Hill. Rogers explores Hill's book "Spot's Baby Sister"
Fred Rogers with Tome Cousin who is working on an umbrella dance. 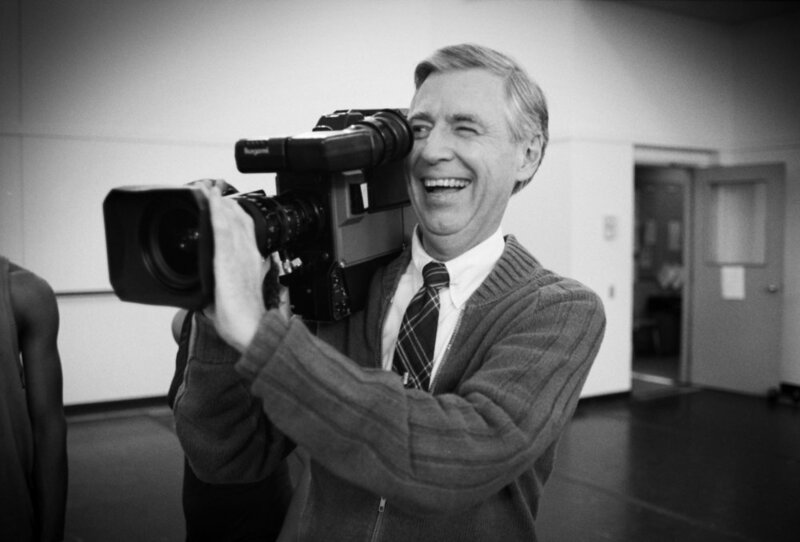 Fred Rogers sights in a shot while working with Tome Cousin who is working on an umbrella dance. 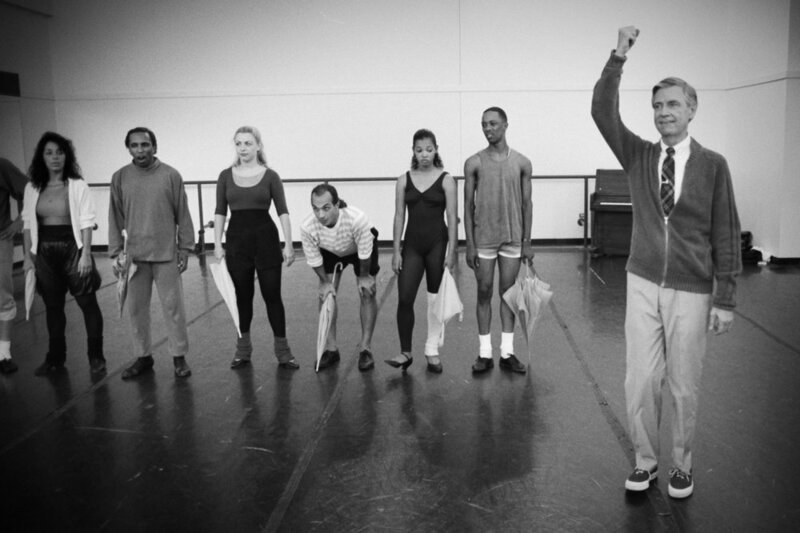 Fred Rogers shows off his dance moves to Tome Cousin who is working on an umbrella dance for episode 1648. Fred Rogers with children's author Eric Hill. Rogers explores Hill's book "Spot's Baby Sister". 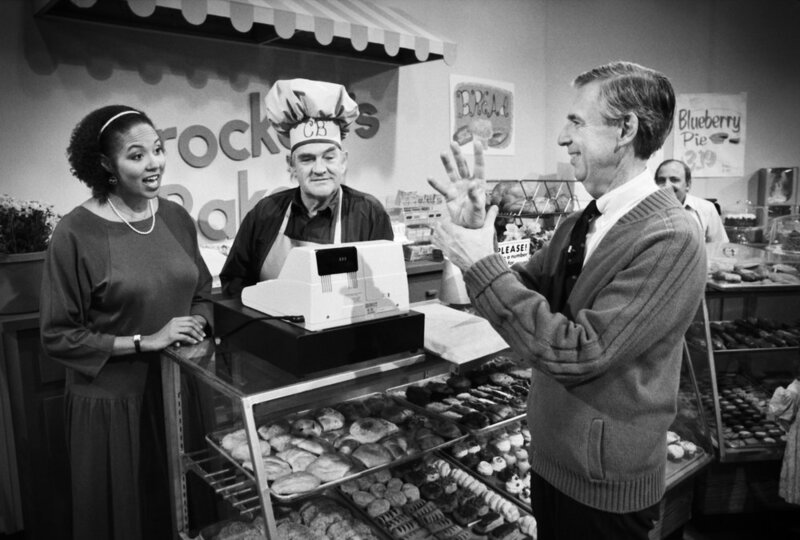 Fred Rogers with Maggie Steward signing at Brockett's Bakery (with Don Brockett). Fred Rogers brings Daniel Tiger to life for children behind the scenes. Fred Rogers talks with his long time musical director Johnny Costa between takes. 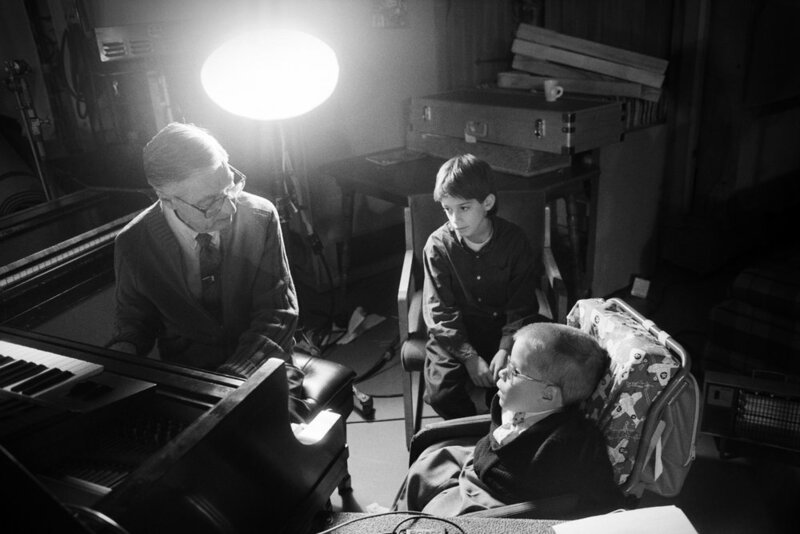 Fred Rogers on the piano back stage with children during a break in taping a segment on signing and singing.